(NaturalNews) A group of centenarians in a Chinese village seem to have stumbled upon a veritable fountain of youth in the form of a well-known seed. Revered for their life expectancy of 100+ years, inhabitants of Bama Yao live in one of the few longevity hotspots of the world. Sharing similar characteristics with other long-lived people, residents of Bama Yao thrive on a nutrient-rich diet and enjoy a pristine environment. The secret to their exceptional life span, however, appears to be their high intake of hempseed. 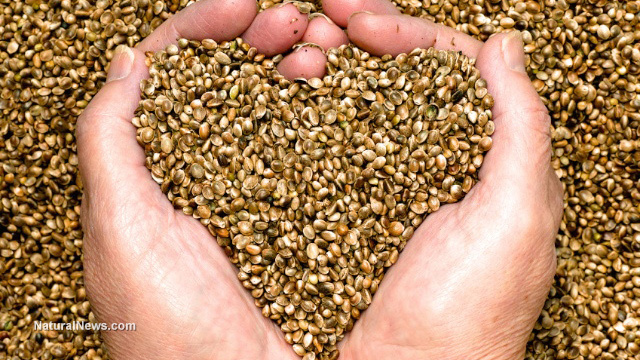 Not surprisingly, hempseed is a nutritional powerhouse that is rich in many disease-fighting nutrients. Contained within this small seed are a range of vitamins, minerals, antioxidants and healthy fats -- including calcium, potassium, magnesium, sulfur and iron, as well as vitamins A, B, C, E and D. Brimming with omega-3 and -6 fatty acids, hempseed is one of the best foods we can eat for a sharp mind and robust cardiovascular health. Since hempseed also provides a noteworthy level of phytol (a potent antioxidant), consuming the seed on a regular basis can help reduce the chance of developing cancer. Hempseed also tames inflammation. Linked with a variety of age-related disorders -- such as diabetes, heart disease and cancer -- chronic inflammation takes a considerable toll on health. By reducing inflammatory response within the body, we can substantially reduce our risk of disease. Hempseed is an important player in this respect. Abundant in the rare omega-6 fatty acid GLA, hempseed blocks the production of pro-inflammatory molecules. What's more, hempseed's GLA further reduces inflammation by eventually converting into prostaglandin, a strong anti-inflammatory compound. "To test the effects of hemp seed oil on the clinical symptoms of atopic dermatitis, Finnish researchers performed a randomized, controlled crossover trial wherein participants ingested either 2 tbsp of hemp seed oil or olive oil daily for eight weeks, followed by four weeks of no treatment. Participants then switched to the opposite treatment for another eight weeks. Subjects were instructed to maintain their normal diet and avoid skin creams. "During the hemp seed oil phase, participants experienced a statistically significant decrease in skin dryness of 29.4% and skin itchiness of 39%, whereas no significant changes were seen during the olive oil phase. These positive changes in skin quality are believed to be related to the beneficial improvements in subjects' plasma fatty acid profiles." For further inspiration on how to use hempseed in your day-to-day life, have a look at Vegetarian Times and Nutiva Kitchen.